The author of The Spawning Grounds answers eight questions submitted by eight other authors. Gail Anderson-Dargatz spent nine years writing her latest novel, The Spawning Grounds. At the heart of the sweeping family saga is an environmental clash between an Indigenous community and a white family. The two groups live on either side of the Lightning River, which once held a healthy population of sockeye salmon. 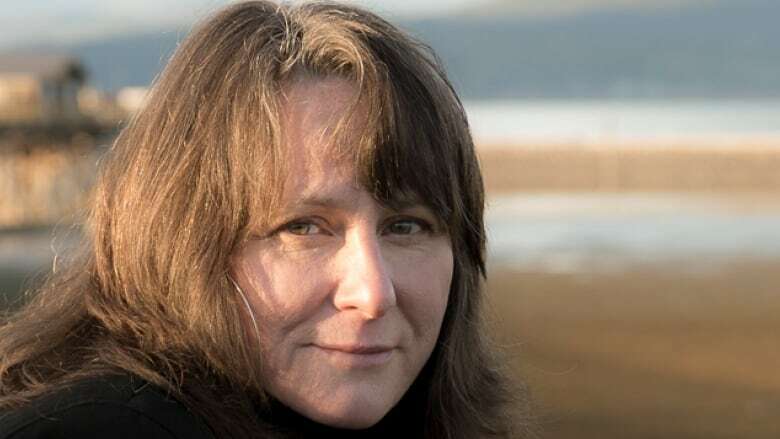 Below, Gail Anderson-Dargatz answers eight questions submitted by eight of her fellow writers in the CBC Books Magic 8 Q&A. 1. Anita Rau Badami asks, "What is your relationship with your characters: is it possible to separate yourself from them or do they always reflect some element of your own psyche?" Good question! I think the answer is yes and yes. I believe our job description as fiction writers is to step outside of ourselves and into the shoes of others. To that end, I interview others for my fiction. But fictional characters are just that: fiction. Our job is to make them appear to be real people. So of course they spring as much from our imaginations — from ourselves — as from observation, research and interview. For many of us, our characters are like our children in that they are not ourselves, but are to some degree extensions of ourselves. That's why we run into the problem of the passive protagonist so often: we want to protect our characters, as we would our children, when our job is to force them out into the world and, especially, into their conflicts. 2. Cathy Marie Buchanan asks, "Do you know how your story will end when you begin writing?" Ha! I wish. While I do use outlines as a brainstorming tool, writing is very much an act of discovery. My characters are in charge. I sit down and write a scene and my characters tell me where the book is headed. So I feel my way into a project and feel my way out again. I often liken writing that first draft to trying to find your way out of your own burning house. The layout is sort of familiar, but in the smoke, dark and your own panic, you struggle is to find the door. 3. Ian Brown asks, "What was the lowest point in the writing of your latest project? And the highest?" The Spawning Grounds took me nearly nine years to write, largely because I had the family responsibilities most of us face in our 40s: kids, jobs, aging and then dying parents... Juggling all these challenging and often painful life events, I simply grew tired and very likely burned out. I reached a point where I was ready to give up this whole (literary) writing thing. The turnaround came when I stepped out into private teaching, online, which allowed me to structure my workdays in a way that best suited me. I then found the time and energy to court my writing life, to fall in love with writing again and to finish The Spawning Grounds. 4. Zsuzsi Gartner asks, "How do faith and science intersect for you as a writer?" Faith and science are the same thing for me. I find more wonder and awe in the universe around us than in the spiritual beliefs I grew up with. Even so, I'm still fascinated with all worldviews and how those belief systems drive us to see and interact with our environments. If there is one consistent theme in my writing, this is it. 5. Jonathan Auxier asks, "What book in your home library holds the greatest sentimental value?" My two youngest kids both write and create books. These are the most cherished books on my shelf. The earliest of these by my youngest daughter is just pages of scribbles she stapled together, before she knew her alphabet. 6. Kenneth Oppel asks, "Do you resist all distractions during the working day, or welcome (and even invent) them?" We have a blended family of four kids. When they were still young, my husband bought me two traffic cones to put up in front of my office. When they were out, the kids were supposed to leave me alone so I could write. Did that work? Of course not. Those constant interruptions are easing somewhat now that two of our kids have flown the nest and the other two are launching into their teens. But no, I don't invent distractions. They find me. I look forward to the day when I can get back to inventing distractions for myself. 7. Alan Cumyn asks, "Was there a career you didn't pursue so you could be a writer? Is there a career you dream about when writing turns particularly problematic?" I love, love, love science. Almost every branch. My dream job would have been a science educator like Bill Nye or Neil deGrasse Tyson. But in my generation girls were often discouraged from going into math or science, and that was the case for me. So I jumped into writing, which is the next best thing. Writers can dabble in almost any interest area. On those days when I'm ready to give up writing, though, I usually want to pursue something that takes me away from the desk. In the past I would have dreamed of opening an independent bookstore, but now I dream of running a bakery café with my daughter. I'd be the soup and sandwich gal. I find making soups... therapeutic. 8. Nazneen Sheikh asks, "Have you ever been frightened by what you write? How and why?" Oh, god, yes! Daily. I think that's part of a writer's job description: "must be willing to freak yourself out in the pursuit of a good story." We have to step out of our comfort zone every time we sit down at our desk, otherwise we avoid writing the scenes we need to, and we end up with passive, ruminating characters who wander around listlessly, talking to themselves. There are times when we have to push even further to write about characters we dislike and the ugly things they do. Here we may have to understand and even sympathize with them. That's truly frightening, because we can.